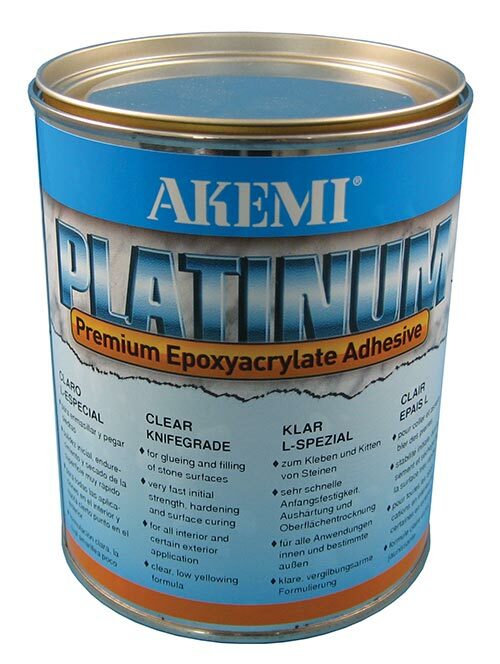 The new Akemi Platinum adhesive has been reformulated as an Epoxy-Acrylate. This new formulation provides several advantages over polyester adhesives such as, a 50% increase in bond strength, greater clarity, faster cure time, and consistent working time. This adhesive has the same bond strength as most quick set epoxies and can be used in outdoor applications as well. 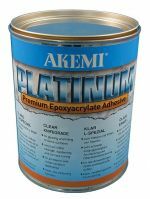 The new Akemi Platinum will outperform any premium polyester, polyepoxy, and all paste hardener adhesive systems.